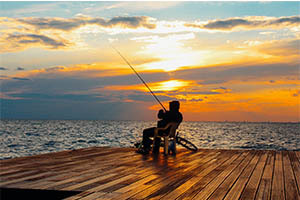 Looking for the best Deck Sealing Company in Hampton Roads? You have found us! Wade Bros has been in business for more than 20 years. It is our mission to bring you quality and value to your home. The sealer helps protect your deck from the elements, and anything that may add to normal wear and tear. When you spend so much on having a deck built, it is a protection in your investment to keep it protected and safe. Preparation and maintenance are two majorly important faucets of owning your own deck. Deck sealing helps your deck stay beautiful for years to come. Once your deck is built, it is recommended to wait for 30 days before sealing it. This allows your deck to dry of any preservatives that may have been applied to it. After that time, Wade Bros will seal your deck with a clear coat sealer. The sealer helps protect your deck from the elements, and anything that may add to normal wear and tear. When you spend so much on having a deck built, it is a protection in your investment to keep it protected and safe. A stunning deck can increase the value of a home. Wade Bros of Hampton Roads can give your deck the protection that it needs to fight the elements! If you have any questions about sealing or if it is right for your deck, contact us today! We have served the area for more than 20 years- don’t fall in the wrong hands! Contact Wade Bros for your Deck Sealing needs today! We do advise that you reseal your deck once a year. This will help eliminate damage done by the sun, the weather or anything that would compromise the appearance of your deck. Seals will eventually wear down if you do not have it serviced on a yearly basis. The wood of your deck will lose its color and stain when left untreated. 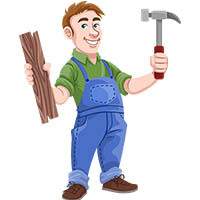 You may also run into problems with rotting wood if it is left untreated for long enough. Have you purchased or thought about a deck lately. 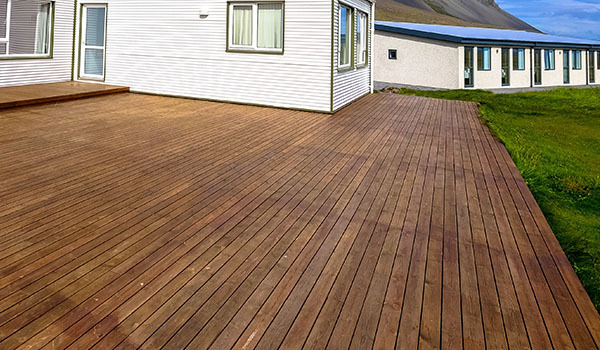 Did you know that depending on the type of deck, the wood can undergo leaching? Leaching is swelling and shrinking of wood due to water absorption. The shrinking and swelling stresses the wood causing checks and splits to develop.